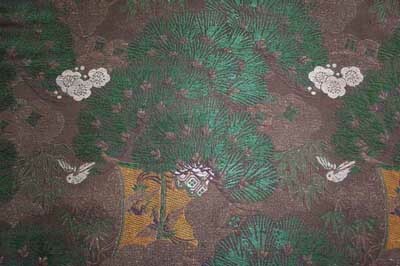 This intricately woven Meiji Era Obi is very rare. Its colors are very vibrant and yet still reflect the earth tone colors of that era. Remarkably, the weave is extraordinarily tight and small which is another hallmark of this era. The Meiji era is known for restraint of colors and styles. 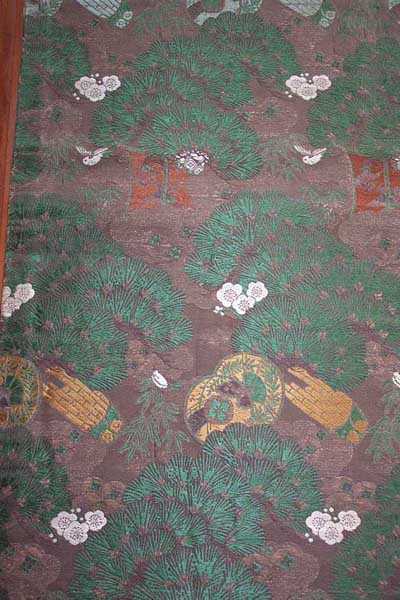 Kimono makers of the era had to contend with rigid sumptuary laws that regulated the clothing industry. To compensate, craftsmen concentrated on detail and technical achievement. 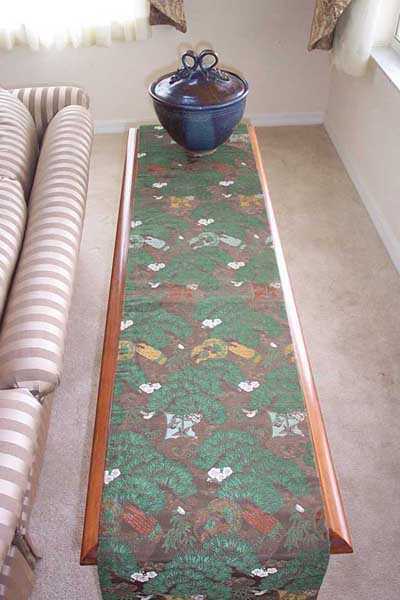 This obi is an example of the precision and ingenuity of the time. The obi has some evidence of its age. Some of the gold ribbon at the end is frayed. But generally speaking its is in good condition.